1 - HTPC Mod by SleepStreamer 2 - Building Stage One Continued 3 - External Work 4 - The Corners 5 - Tops, Bottoms and Stands 6 - Finishing Touches 7 - Final Pictures: Eye Candy! From SleepStreamer's modding roots of the incredible Cold Fusion, Hangar 101 and MCE 2.0, comes the latest from Mad Max's modding exploits, excellently crafting aluminium to his industrious whims. His latest mod simply titled, "HTPC", is on the small scale as Max crafts a beautiful mini piece out of low profile parts and a perspex stand that elegantly combines an industrious design with clean looks. Check out how he did it over the next few pages - and we know how popular smaller mods and home theatres are becoming, so we hope it will inspire a few of you to follow in Max's modding footsteps! Hey guys, I'm back with a new casemod! It's actually not been that long since my last outing here, as I usually aim for one mod a year. 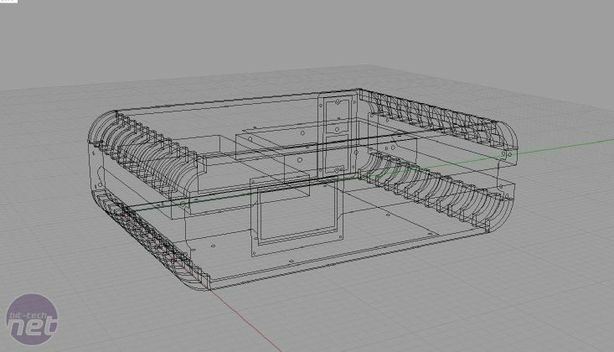 This time I thought I'd jump on the HTPC bandwagon with a design that's much cleaner than my previous builds, so I'm hoping it'll fit nicely next to my TV. Everything in this build was geared around being quick: the design for example was completed in a total of three hours, while the build itself was completed in just eight days: four weekends. It would be an understatement to say that's a lot less than I'm used to! I started off by making a design I liked in Rhinoceros 3D. As I said earlier this took no more than a couple of hours to construct, but I was focused with what I wanted and really feel I nailed the result. 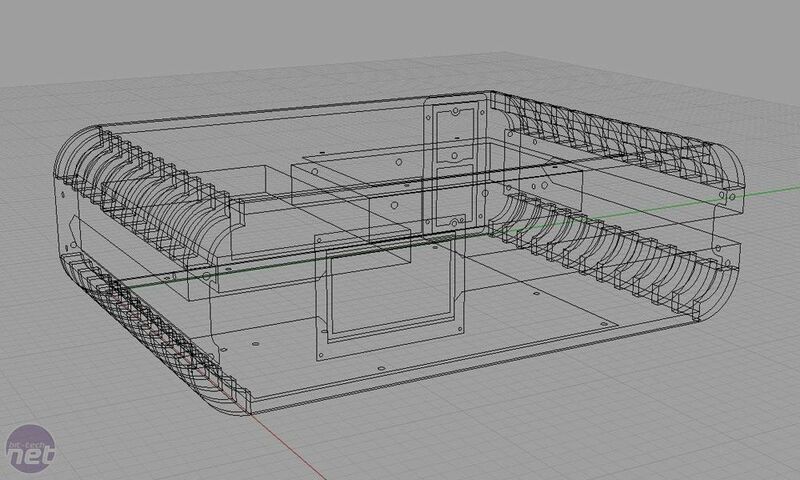 The building phase begins with the motherboard tray; milled from 6mm thick, normal acrylic. Threaded holes were then drilled with a UNC 6-32 for the brass spacers.